Kit, why did you choose Michelle? EIGHT ON A HAND drew me right in: dual timelines! drum corps! missing girl mystery! South Louisiana setting! complicated teen friendships! 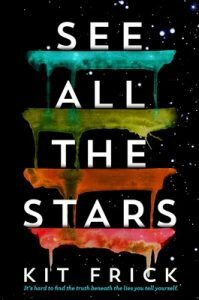 The novel combines so many of my favorite things: an interesting narrative structure that drives the propulsive plot, a chewy mystery, a teen girl protagonist passionate about an artistic interest, a fierce and complicated best friendship. I knew I could get in there and help Michelle take this manuscript to the next level of awesomeness. It was a natural fit! Michelle, why did you choose to submit to Kit? Kit’s debut, SEE ALL THE STARS, was already high on my TBR list, and since I was specifically looking for help with the dual timeline and mystery/suspense elements of my story, hers was the first mentor bio I checked out. 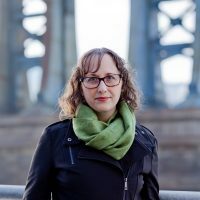 I was immediately impressed with her background and editorial experience, and when I read her wishlist (thrillers/mystery/suspense, complicated friendships, interesting narrative structures, diverse characters pursuing passions, YES!) I knew immediately that I HAD to submit to her. I’m so incredibly thrilled to have her as a mentor! Kit, summarize Michelle’s book in 3 words. Michelle, summarize your book in 3 words. Kit, tell us about yourself. Something we may not already know. I’ve seen Back to the Future over 20 times. Most viewings occurred one long elementary school summer, but I can still put that movie on anytime! Michelle, what do you hope to get out of the Pitch Wars experience? In my first communication with Kit, I told her that I was most hoping to “level up” with Pitch Wars. I’d been getting good feedback, but something was missing from the manuscript, and I wanted to find that missing piece. I’m already learning so much, and I’m really excited to continue to improve this manuscript and also to carry these news skills into future projects! Michelle, tell us about yourself! 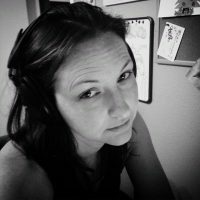 What makes you and your manuscript unique? Before I dove into the dazzling worlds of anthropology, freelance writing, and education, I was a percussionist and a music major. I did march one year in a small drum corps (I promise no one went missing there), and when I began writing this story I knew I wanted to set it in a marching band and a drum corps in South Louisiana. I actually started my first draft thinking it would be a lighter story, but it quickly evolved into this much darker suspenseful tale with a dual timeline, a bisexual female drummer, her missing best friend, and their complicated friendship. When I’m not writing, I’m pretty busy homeschooling my two kids. We also volunteer and foster kitties for a local animal rescue organization, along with wrangling our own two dogs and two cats.